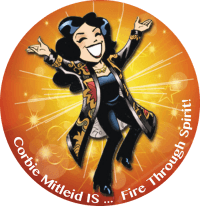 What Is the Difference Between Mediumship and Channeling? Psychic Medium & Tarot | Divination | Mediumship | What Is the Difference Between Mediumship and Channeling? What Is The Difference Between Mediumship & Channeling? 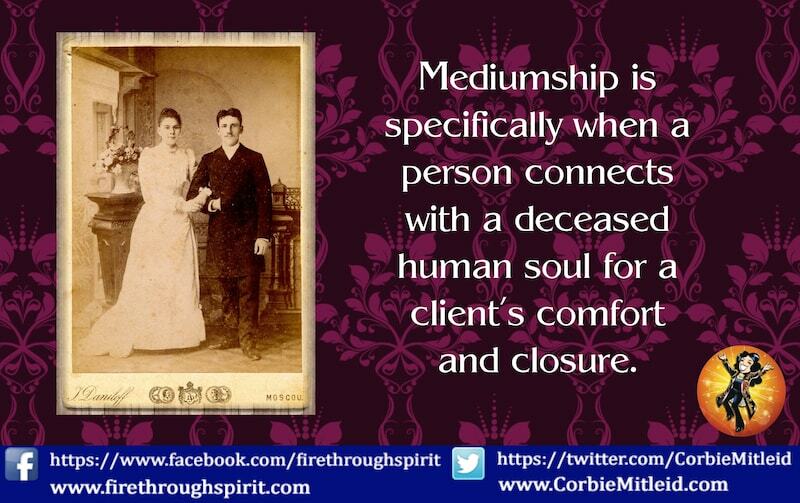 Mediumship, for me, has a specific meaning: someone who is the go-between – the “middleman” if you will – for those of us in form who wish to speak to our discarnate loved ones or ancestors. Some people call it “speaking with the dead” but I rarely use that term. Why? Dead supposes that there is a cessation of existence. If there was, then we would be unable to speak with Aunt Rose or our brother Sidney once they left this earthly plane. And I can assure you, those loved ones I contact on the Other Side for my clients are absolutely alive! I also see a difference between mediumship and channeling. 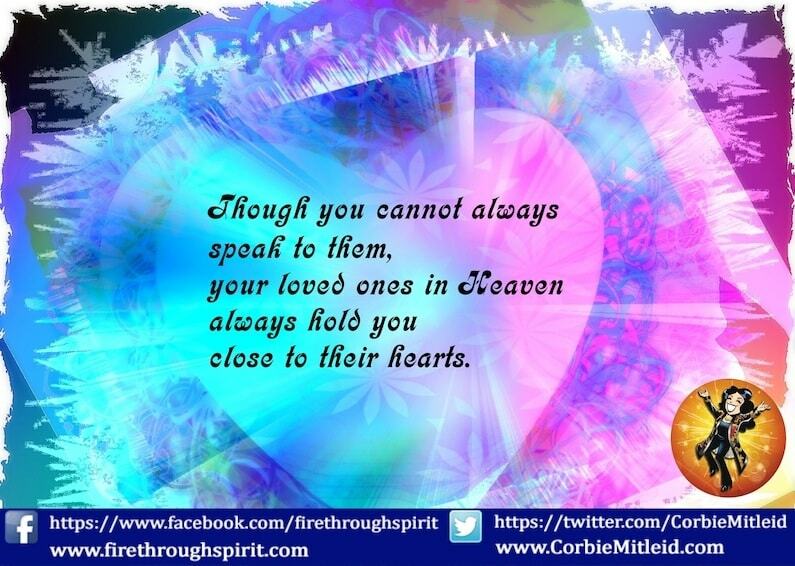 A key part of Mediumship is providing evidence of the continuity of a loved one. In Channeling, the information tends to be more philosophical. Abraham Lincoln, Seth, Archangel Michael, among others, have been channeled. We have to be more trusting of the channel when there is not a historical record of which they speak. Mediumship can be done in different ways: mental mediumship and physical mediumship, for example. Most people are familiar with the Medium who stands in front of an audience and gets “hits” or messages from discarnate folks, and then finds the person to whom a message belongs. Because I work with people in a timed session and want to get right to the soul to whom they wish to speak, I ask for certain pieces of information that do not tell me anything about the person, but which will get me into their energy immediately: name, relationship, age at death and year they crossed over. From there, I get specific impressions that allow for swift acknowledgement and recognition. It could be how they died, or particular habits they had, or key phrases that are significant between the client and the deceased. I can get “directly heard” messages, though they also can come through in visible ways. I have found that certain physical signals can also give me information. How? If my hand thumps hard on my chest, for instance, it could mean a cardiac incident. Miming smoking a cigarette is often a key that the spirit with whom we’re connecting was a smoker. My body will mimic their stance or fidgety habits. Does every Medium do this? I don’t believe so. It’s simply the way Spirit chooses to manifest through ME. I will often also get a manner of speaking – accent, verbiage, slang – that connects me to the deceased visitor. Once my client is assured that we have Aunt Mable “on the Spirit phone” then a true conversation can be had, as I allow the Deceased to speak directly through me.